Each set of vacuum silicone bag consists of one top and another bottom silicone sheets. The top and bottom silicone membrane sheet edges are sophisticatedly embedded to each other, to make sealed room for vacuuming. Interlocking of edges and corners are easy. Edges and corners are specially modified, such as locking strength grows larger when vacuum pressure becomes higher. Although it is tightly sealed, edges unlocking and opening are amusingly easy when vacuuming stops. 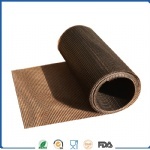 heat-resistant, high elasticity, special surface property (no adhesion) and physiological inertia, oil resistant, solvent resistant, anti-aging, anti-corrosive, and non-polluting, EVA resistance. Top blanket of silicone bag is more flexible. When vacuum pump is turned on, air in between top and bottom silicon sheets starts to evacuate. Top silicone blanket begins to wrap downwards along glass edges until it gets in physically zero-gap contact with bottom silicone sheet. No air or gap is allowed in vacuum silicone bag. This specially formulated silicon bag is highly elastic. It provides enough flexibility, allowing the silicone blanket to stretch until it fully wraps along glass edges. This remarkable property is especially important when glass is thick and/or curved. Silicone vacuum bag resists high temperature(more than 220C). Uniform Heating is applied on silicon blanket and glass all the time until interlayers, for example, EVA film is melted thoroughly. High temperature resistance is one of the important criteria of silicone vacuum bag. After heating is completed, forced cooling is started. Silicone bag is thermally stable for numerous rise and fall of temperature. Silicon bag is tough. It allows glass loadings and unloading for numerously times. It resists abrasion, wear and tear up to a certain high degree. But to protect the silicone vacuum bag, it’s better you edging the glass before laminating. While the silicone bag is strong, the silicone bag is also flexible enough for easy handling when top blanket is opened and closed during glass loading and unloading. 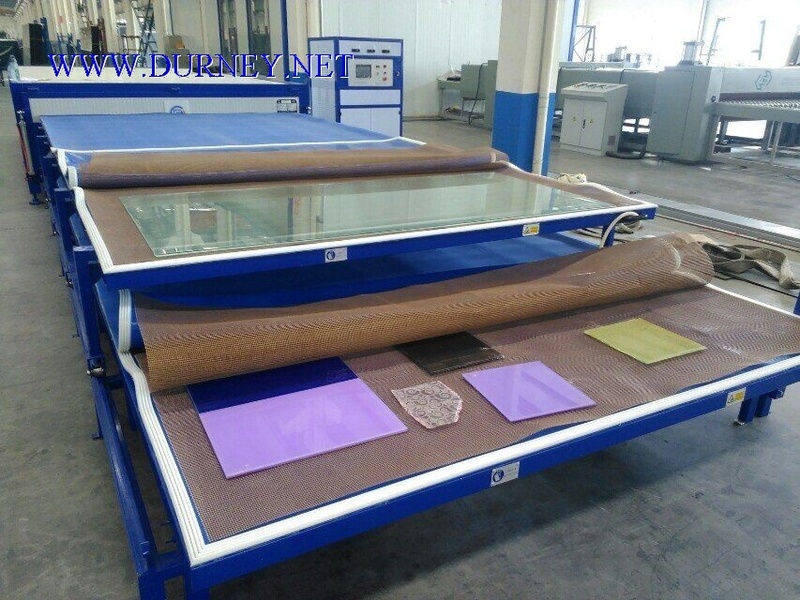 Laminated Glass is made by placing PVB or EVA inter layer films between two or more sheets of annealed/heat strengthened/tempered glass in the silicone vacuum bag. Under heat and pressure PVB or EVA melts and gets bonded completely with the chemical properties of two or more sheets of glasses making it a single sheet of glass. On breaking the PVB or EVA interlayer films prevent glass from shattering or falling down. The inter layer films PVB or EVA provide excellent protection from uv rays and sound waves. The laminated glass is used as safety and security glass for anti burglary, sound proofing. It also Provides protection from uv rays up to 98 -99%. EVA Interlayer Film and PVB Interlayer Film are used to make safety laminated glass. PVB stands for Polyvinyl butyral. It is made of polyvinyl alcohol by reaction with butyraldehyde. EVA is effective for reducing shattering when broken. EVA film owns high-performance safety function properties, it is reliable and produces long-time weather resistance.